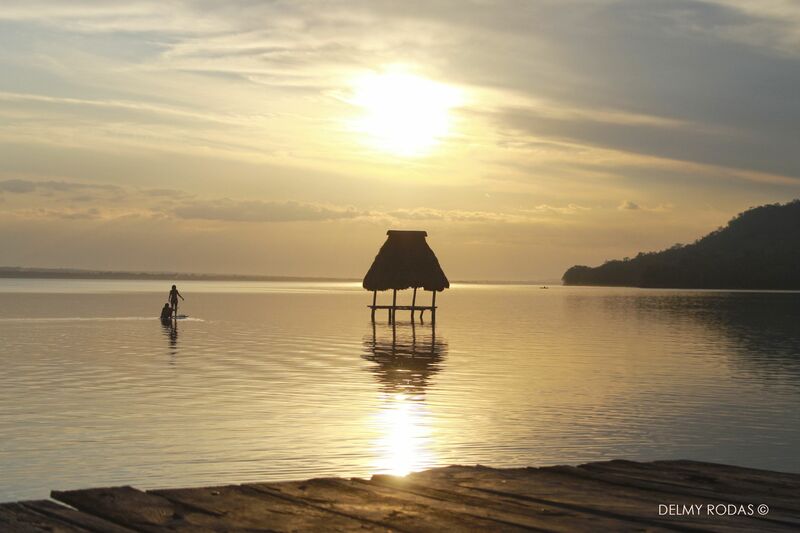 Book room in El Remate by Lake Peten Itza and at only 20 minutes from Tikal National Park! 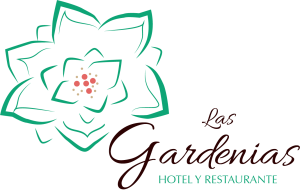 Hotel Las Gardenias is the right choice for visitors who are searching for a convenient position from which to explore Tikal, Yaxhá, and the perfect location if you are coming from or going to Belize border (at 1.5 hrs far) . 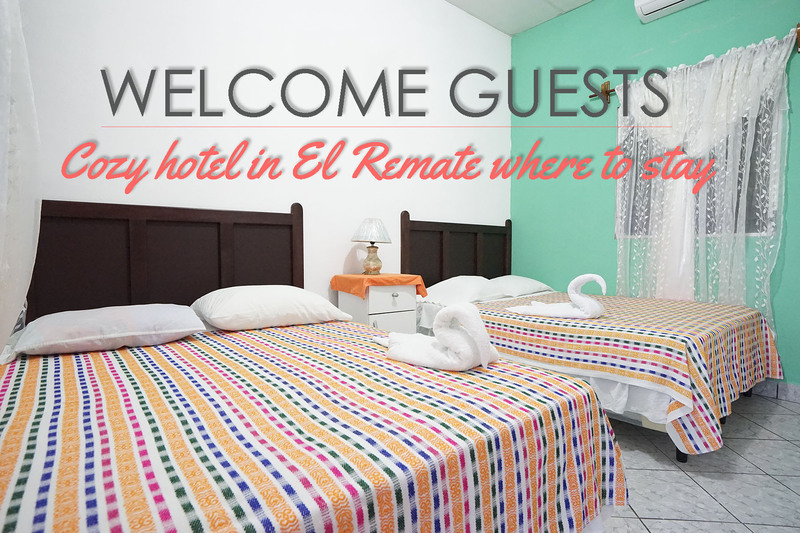 It is a small, comfortable hotel, situated at El Remate. It is a family atmosphere place. 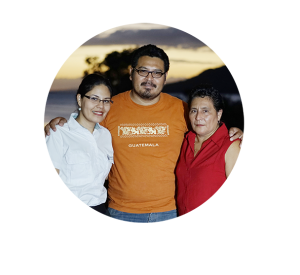 The staff offer a personalized service and are always available to offer any help to guests. We have been working in tourism industry for over 12 years. 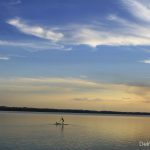 The founder Magdalena Rodas started working in a hotel and restaurant in Tikal National Park in 1976 whilst her husband Daniel Sánchez started even earlier in 1970, He worked for one of the major tour operator in the Peten region for over 20 years. They both retired decided to start a business with their children. Las Gardenias came into reality in 2004. El Remate Tikal is a small village located on the eastern shore of Lake Petén Itzá, 30 km from Flores route to Tikal, its convenient location and its beauty make it a great destination for foreign and local tourists looking for quietness, also being a “tourist corridor” located halfway to Tikal National Park, and at 2 hrs from Belize border. 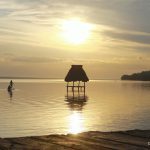 It’s perfect if you are planning to visit Tikal, Yaxhá and then head to Belize. El Remate offers the following services: accommodation, restaurants, handcraft and souvenir shops, police station, local clinic, pharmacy, travel agencies, laundry and convenience stores. Being one of the largest woodcarving producers in the whole state, it has been regarded as “the place of the wonderfull hands” due to the creativity and effort this artists show on each of their masterpieces of beautiful woods. They elaborate maya themes and deities, wild animals, kitchenware, pipes, plates, piercings, bracelets, and others. 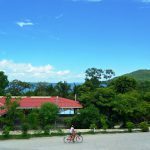 Important: When arriving in Flores, don’t let anyone show you to a transportation. They may be arranging to sell you a private trip, which is much more expensive or even you may be ripped off by non-authorized sellers/travel agents. Instead, ask to be dropped off at the bus station in Santa Elena. Take a Linea Dorada or San Juan Travel bus, these companies depart from the marine terminal at 10:00 a.m. Ask for drop off in El Remate, the driver can charge you $2.00 to take you to El Remate from the crossroad (in Ixlu village 2 km far) because it is not its regular route. Or you can get off at Ixlu village (Crossroads) and we can send a taxi for you. Upon request. It’s very important to you to tell the driver that your destiny is El Remate because he can takes you to Santa Elena instead. You could get off at “El Cruce” in Ixlú Village and wait for another minibus to El Remate (They pass every 15 minutes) cost aprox. Q.5.00 ($US 0.66) per person. Or you can get off at Ixlu village (Crossroads) and we can send a taxi for you. Upon request. 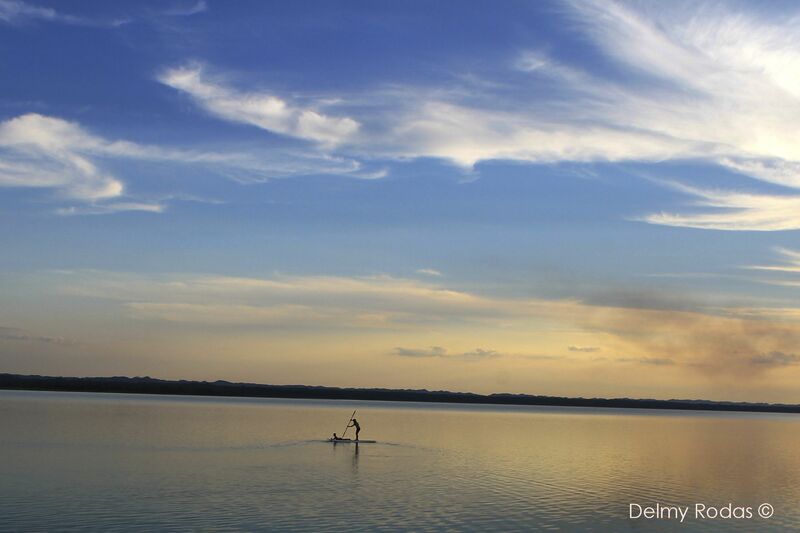 Buy daily shuttles direct to Flores at any travel agency in Cobán. Buy with “Transportes Luna” or “Aventuras Turísticas” these transport companies can take you directly to El Remate, please ask for the extra charge to drop off at El Remate, fare could be $5.00 per person, it may vary, or we can send a taxi to Santa Elena to pick you up and take you to our place for a really cheap fair. Bus station in Santa Elena: if you want to take a local bus, you must go to the bus station in Santa Elena and take a local bus to El Remate. Open hours from 6:00 am-17 hrs. The office in the new bus station is located next to Linea Dorada office. 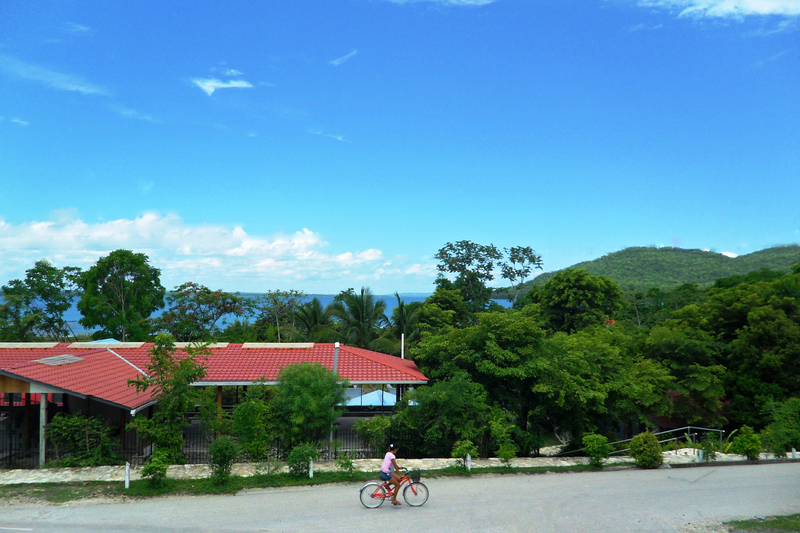 If you can’t find open the office, you must go to the old bus station (different location than the new one) We recommend to take a tuc-tuc taxi (widely used in Santa Elena) to get to the old bus station. Departure from Lanquín 7:00 a.m. & departure from Cobán at 9:00 a.m. the arrival time in Flores is aprox. 16:00 hrs. 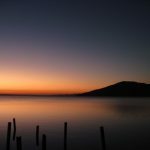 Cheap rooms at El Remate in Hotel & Restaurante Las gardenias, clean rooms, air conditioning, TV, few steps of Lake Peten Itza. 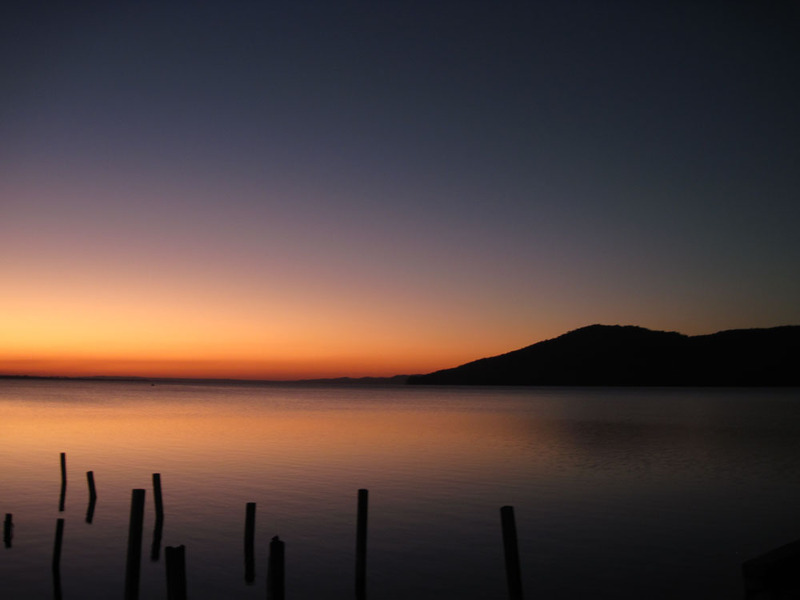 It is a family-run business located in El Remate, just 100 meters from the beautiful waters of Lake Peten Itza. It offers an on-site restaurant and lush gardens. 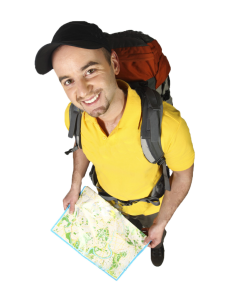 We do our best to help travelers to arrange tourist activities, transport, lodging, among others. Please feel free to ask and we will try to give you the best answer. The best words to describe our hotel are : convenient location, affordable prices, good price-quality relation . Whenever you want to visit Tikal stay at the little apple green house! We are located at El Remate in a neighbourhood of the Centre. Come to enjoy a pleasant quiet area with lots of privacy. The hotel is arranged on two floors, without a lift. On the ground floor, next to the reception, there are 3 rooms facing a lushy garden with a fountain – a copy of temple I of Tikal-. The rooms are arranged on the first and second floors. On the top floor, there are 3 rooms also a delightful terrace available for the use of guests, from where you can enjoy the wonderful view. You can relax and immerge yourself from morning onwards in the atmosphere of El Remate daily life. The breakfast is served in second floor –left site- of the property, and also outside on our little patio. The hotel provides an internet point (limited due to our rural settings). Please note that all guest rooms are non-smoking. House-keeping every day of your staying.